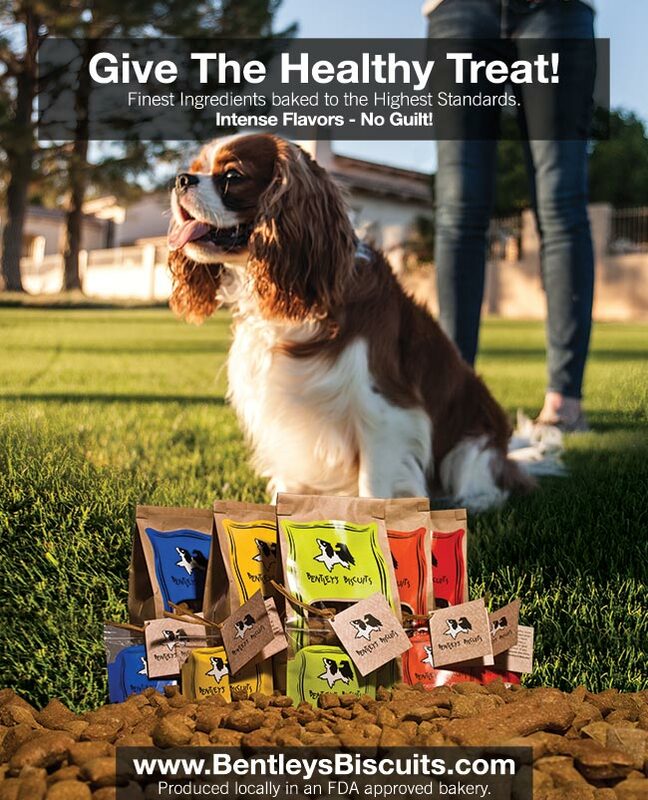 The original “Naturals” dog treats from Scottsdale, Arizona. 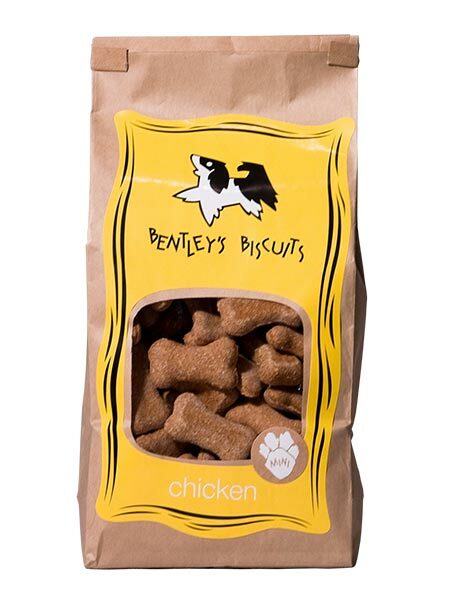 Bentley’s all natural, “Homemade” Dog treats are made with only the highest quality, human grade ingredients. Always low in fat, sugar, sodium and calories, you can depend on the nutritional value packed into each of our flavors! 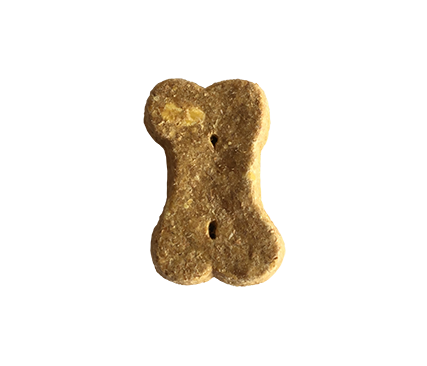 Probably our most popular Gourmet Dog Treat, the Apples and Oats in the Tidbit size with only 7 calories, have been known to be used as an excellent “carb curber” by many of our human clientele. Made with Rolled Oats, unsweetened apple juice (not drink), whole wheat flour and fresh eggs, what’s not for a human or a dog to love! The Health Dog with Whole Pumpkin, is the highest in fiber and lowest in calories. All of our treats are healthy, however, this one is “Off the Charts”! 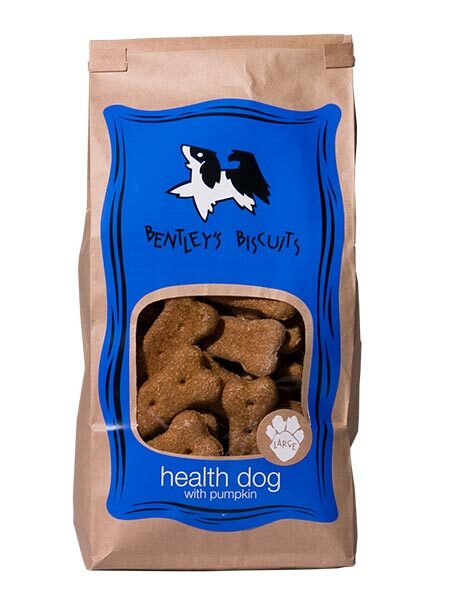 Great for those dogs that are trying to cut back on calories without giving up treats! What dog doesn’t love Peanut Butter!!! Made with unsweetened, all natural peanut butter, the flavor is reminiscent of the unsalted, unshelled peanuts you get at the ball park. Chicken is always a great addition to any health conscious diet. Made with low sodium, all natural chicken bouillon to ensure a healthy treat with great flavor. We strive to deliver intense flavors that even the most “discriminating” pets will love! 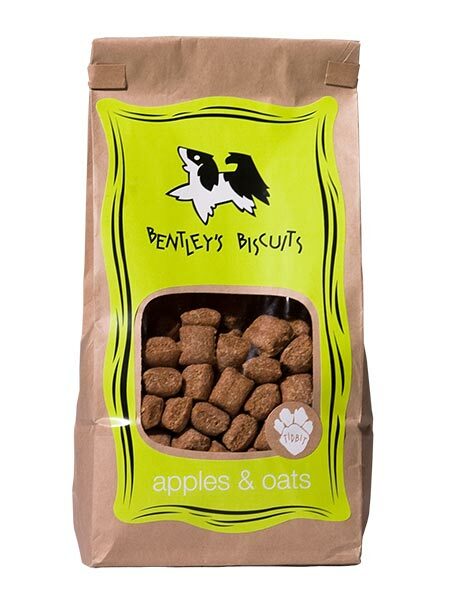 Our treats are “crunchy”, not “crumbly”, so they do not stick to their teeth or leave a mess on your floor! 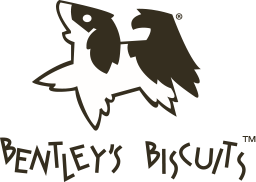 Warning: Bentley’s Biscuits have been known to inspire “obsessive behavior” in your pets! 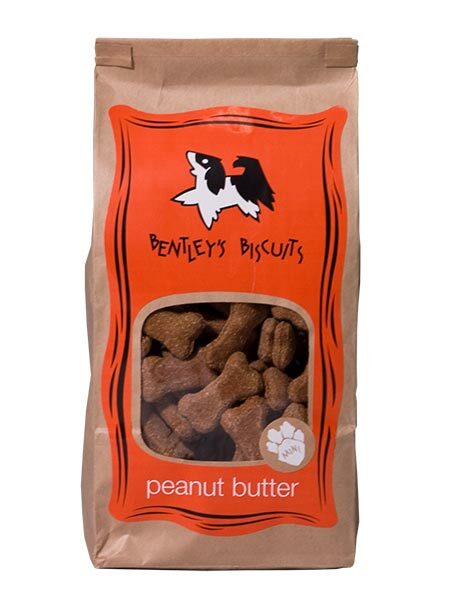 Our most popular flavor, even the Humans like it for a “carb curbing” snack! The aroma of cinnamon and oats hits you when you open the bag! Made with: Rolled oats, unsweetened 100% apple juice, whole wheat flour and fresh eggs. Ahh, the smell of fresh roasted peanuts! Dogs go crazy for peanut butter! Made with: The highest quality all natural, unsweetened 100% peanut butter, mixed with rolled oats, whole wheat flour and fresh eggs. 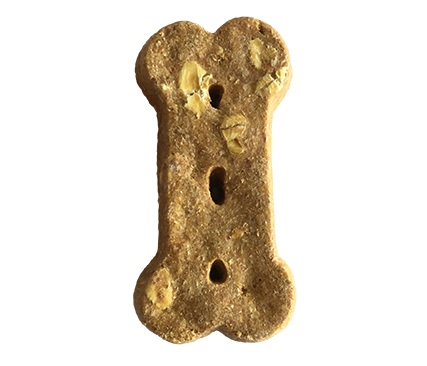 Made with whole pumpkin, Health Dog is our lowest calorie, highest fiber treat! Pumpkin is known to be good for the digestion. Made with: Whole pumpkin, rolled oats, whole wheat flour, cinnamon and fresh eggs. Intense chicken flavor, sure to tempt even the pickiest of pets! Made with: Real chicken broth, whole wheat flour and fresh eggs.